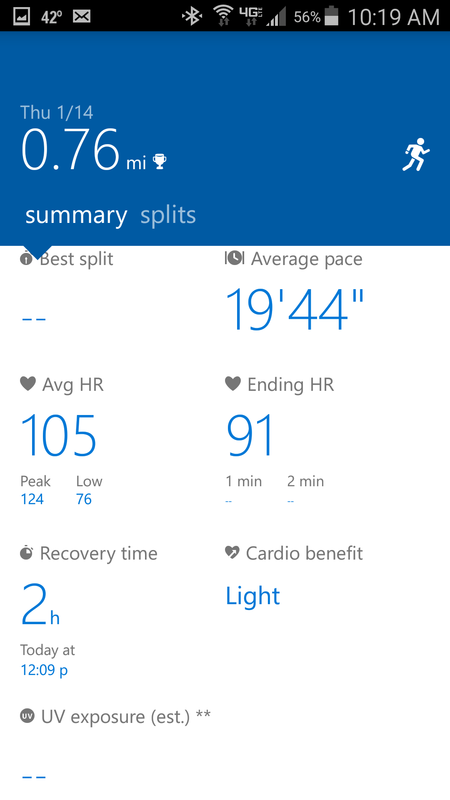 This is a comparison of the Microsoft Band 2 versus Samsung’s Gear Fit. I’ve wanted to do this comparison for quite a while because the very first fitness tracker I purchased was the Samsung Gear Fit, and it’s responsible for getting me interested in fitness devices. 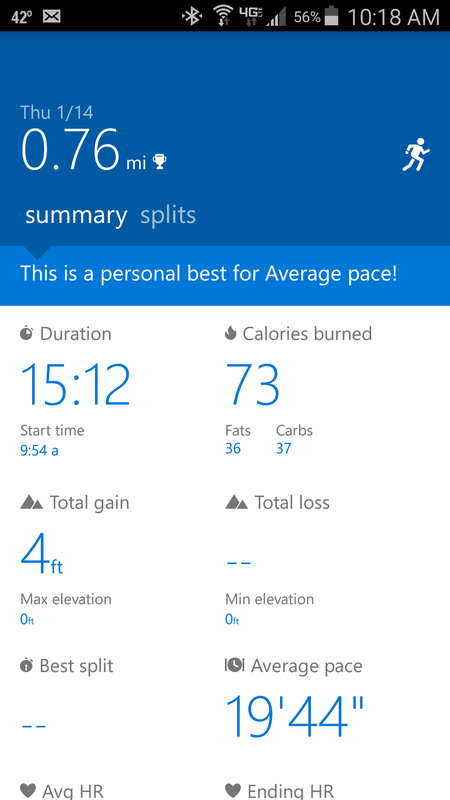 However, it lacked features that I felt it needed, like a built-in GPS, which is why I got a Vivoactive. It also didn’t offer continuous heart rate monitoring nor a barometer to detect when I’m walking up and down hills or stairs. Sometimes the Gear Fit’s HR monitor would appear accurate but it would always give me peak heart rates that were much higher than they really were. If my heart rate had really reached 175 bpm, I would have fell to the ground gasping for air, because that’s pretty much what I did when I had a stress test performed at a hospital. Above: Gear Fit Exercises. It also has a hiking option that can be selected. The difference between walking and hiking is that hiking uses GPS, so it can be used for walking outdoors as well. Cycling also uses GPS. 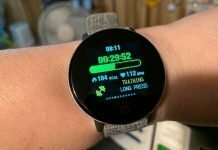 I’ve been waiting for a new release of the Gear Fit, and I don’t know if one is coming or not, but I knew the idea behind the Gear Fit was a good one and with some tweaking could be great. The design is good, the fit is comfortable, and the interface is the most intuitive I’ve worked with. It does many of the things that I want it to do but it just needs to do them all better. Above: Some of the exercise options for the Band 2. These are the ones that I use most frequently. There’s cycling for both indoor and outdoor, running, which can also be used for walking and hiking and GPS can be turned on, and a general exercise option for all those workouts that don’t fall into the other categories, like weightlifting, aerobic workouts, treadmill, etc. The running option can also be used for treadmill workouts, as long as the GPS is turned off. There are also guided workouts that can be downloaded but I haven’t tried any out yet. Then I discovered Microsoft’s Band 2. I had missed the first release of the Band. 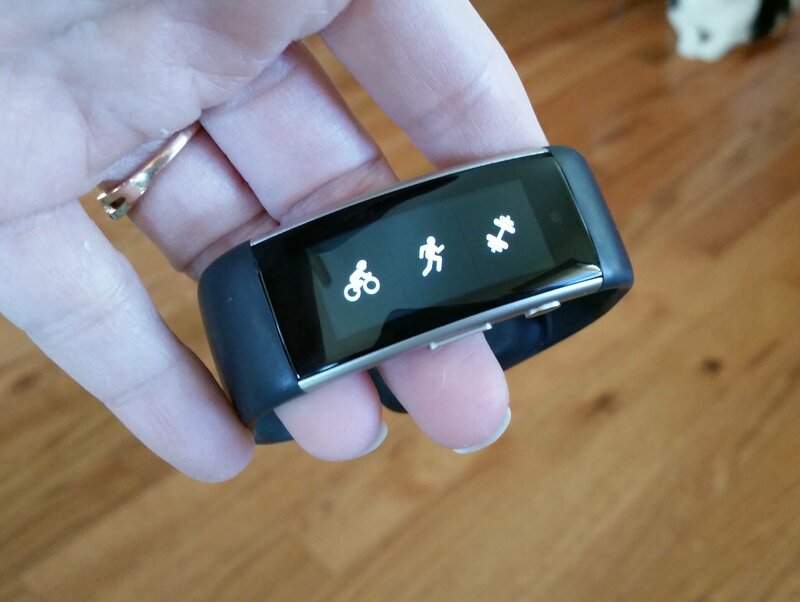 In fact, I didn’t even know Microsoft had a fitness band until a couple months ago. 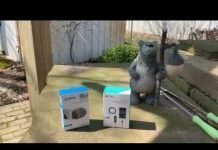 Obviously, there are some hard to deny similarities between the Band 2 and Gear Fit but Microsoft’s version is more polished with all those features I was wishing my Gear Fit had, plus it was compatible with third-party apps like MyFitnessPal and Loseit!. 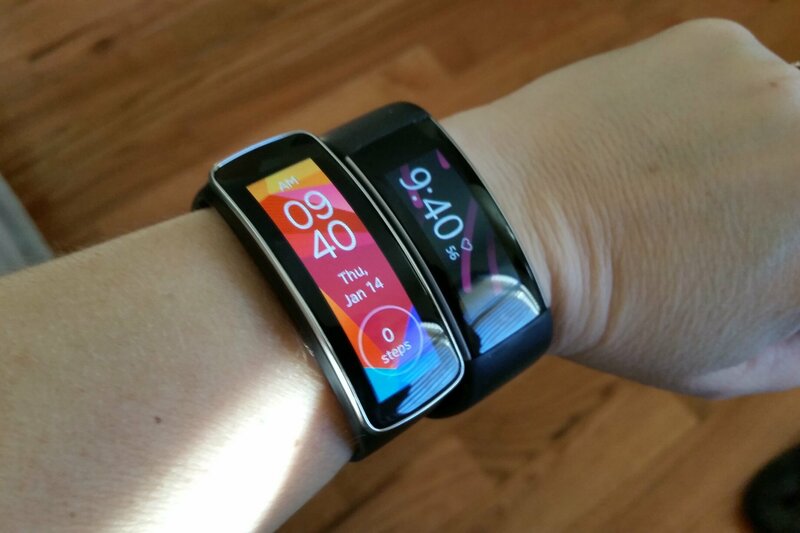 One of the biggest downfalls of the Gear Fit is that it isn’t compatible with the most popular fitness and calorie counting apps out there and it’s only compatible with Samsung devices, which isn’t a smart business decision. Well, anyway let me show you the data that both devices produced during a 15 minute workout on my treadmill, with some notes possibly explaining the differences. 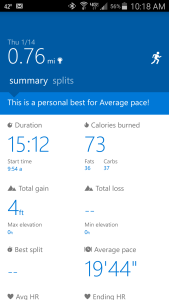 ^ The Gear Fit for these three minutes showed low heart rate numbers. I finally nudged the band over a little on my wrist to see if that would help and it did. I think the optical HR monitor lost contact with a good spot on my wrist. I couldn’t tighten the band enough to keep it from eventually moving as I walked. 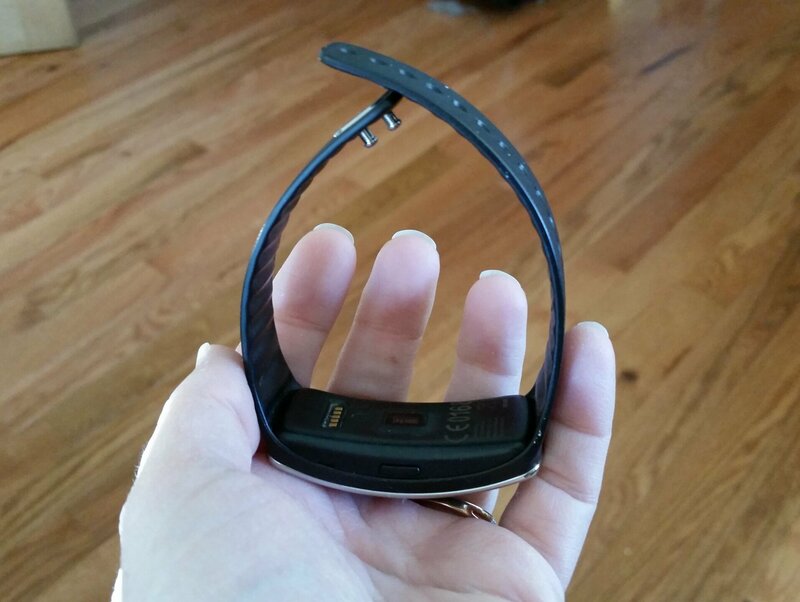 Yes, the band on the Gear Fit is more comfortable than the Band 2 but it’s not as adjustable. It was either too loose or too tight. It’s very important to have a fitness band fit properly to get more accurate results. 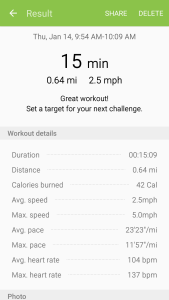 *This I’m not sure about…At about the 10 minute mark I noticed my heart rate dropped considerably on the Band 2 and I don’t know if this was just a fluke but shortly after I noticed the low HR reading I felt my heart thud in my chest. The Gear Fit didn’t show this drop. Remember how I said I had a stress test performed at a hospital? Well, this is why. My heart does this quite frequently when I work out. Unfortunately, when I had my stress test performed my heart didn’t act up. However, an EKG has shown that I have some sort of heart blockage. I’ve been diagnosed with both mild bradycardia (slow heart rate) and mild tachycardia (fast heart rate), so there’s something funky going on with the ol’ ticker, which may be benign or not. While working out on on my recumbent bike, my heart thuds several times within the first few minutes until my heart rate gets up to a certain rate and then it’s fine, which is weird. 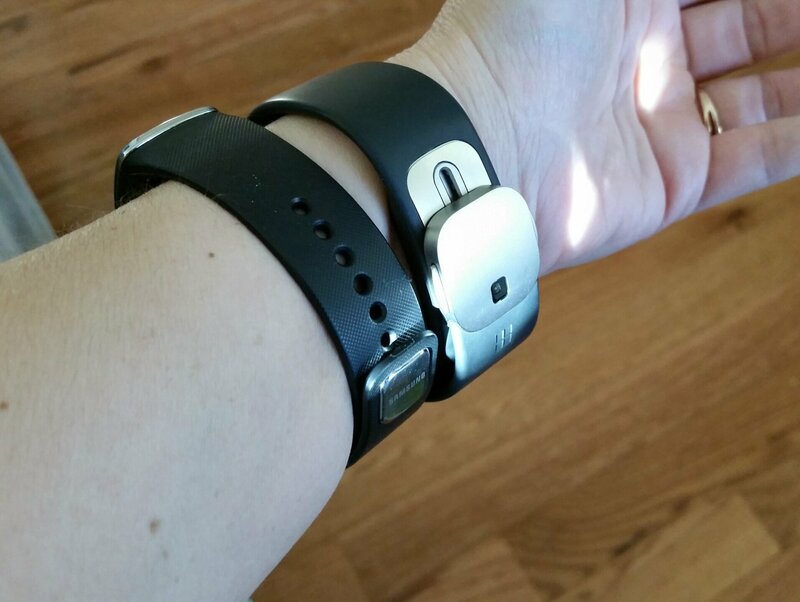 Comparison of the Gear Fit (right) and Band 2 (left) on my wrist. The biggest reason why I decided to get the Band 2 was for its continuous HR monitoring since I have heart issues. It also records my heart rate while I’m sleeping. I was curious to see what my heart rate was while asleep. I do have a Garmin Vivoactive with a chest HR monitor but it isn’t practical to wear it continuously throughout the day and night. I have noticed that my resting heart is sometimes in the 40s during the day, which is way too low. Yes, I’ll be going back to my cardiologist and taking it easy on my workouts till then. The Gear Fit was all over the place during the first few minutes of the workout and I’ve noticed this behavior before during other workouts. It seems to get more accurate as my heart rate increases probably because the HR monitor is picking up my stronger pulse better. The Band 2’s HR monitor has shown itself to be pretty darn consistent at rest and while moving. I have tested it against a chest HR monitor and the Band 2 performed wonderfully. This is the first time I’ve noticed my heart rate go down like this while wearing it. I don’t know how much of it is was due to random inaccuracy or just my funky heart. I like that the screen on the Band 2 stays on during workouts so I can always see the data. The Gear Fit’s screen will only stay on for a certain amount of time. There’s no option to keep it turned on during a workout, which really stinks. Yes it saves battery life but I’d like to have the option to keep the screen on anyway. Above: Gear Fit date from my workout. 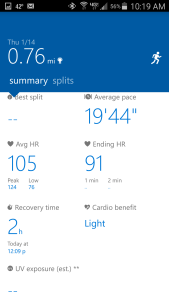 Below: Microsoft Health data from my workout. Notice that the average heart rate was almost identical. The Band 2 estimated it at 105 bpm, while the Gear Fit estimated it at 104 bpm. 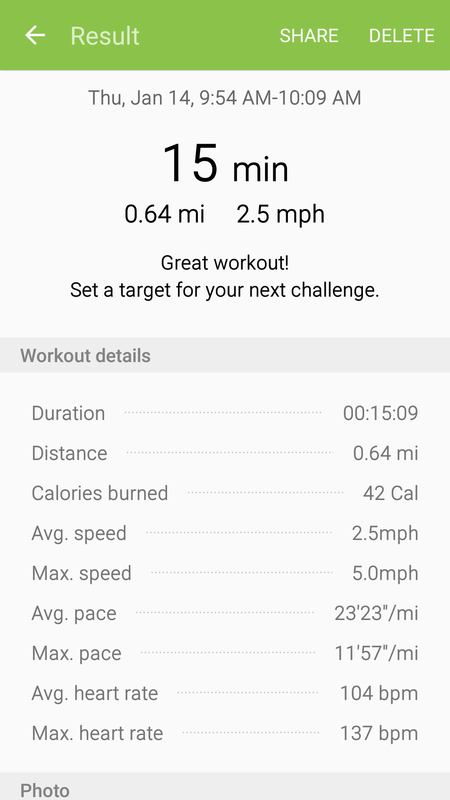 There was quite a difference in the estimated calories burned. The Band 2 estimated it at 73 calories and the Gear Fit estimated 42 calories. Which one is right? Of course, I’d like to believe the Band 2 but it does seem a little high. Now for the smartwatch features… For hybrid devices both are good and essentially do the same things. I get all my notifications on both and I’m able to control music stored on my phone with both. I believe the latest software update for the Band 2 included music controls. Double-pressing the power button on the Band 2 brings up the controls, though I just tried it and it didn’t work. 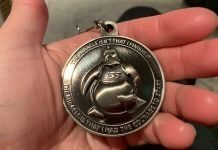 It has in the past! I do like that the Gear Fit has the option to display the interface vertically or horizontally. It makes much more sense to display most of the items vertically since I’m wearing it on my wrist. The Band 2 doesn’t have this option but it does have a surprisingly good keyboard. It’s small but it detects what I’m trying to write better than the keyboard on my phone. The Gear Fit doesn’t have a keyboard to respond to texts but you can select from some canned responses. So my conclusion? Besides the undeniable conclusion that I have a weird heart, I prefer the Band 2 over the Gear Fit. It’s more consistent and it just feels more like a more refined fitness tracker. It’s not perfect but so far I’ve been impressed. I just wish the battery life were longer, and it didn’t miss so many of my steps throughout the day (the Gear Fit is guilty of this too) and that it was more comfortable to wear. It also pairs up flawlessly with the Loseit! app, which I’m now using. 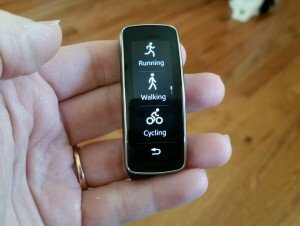 I can’t get it to pair up with MyFitnessPal but I’ve had troubles pairing my Garmin Vivoactive on many occasions with MyFitnessPal as well. The Band 2 is nearly twice as expensive as the Gear Fit, so that has to be taken into consideration. 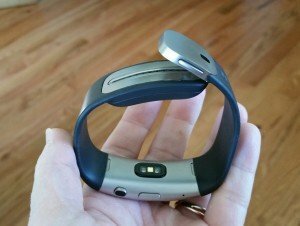 The Gear Fit isn’t a bad device but if you have the money, I’d go ahead and get the Band 2. I happened to grab it for a real good price through Amazon. Maybe you’ll get lucky too!